The Healing Garden opened on September 15, 2017. 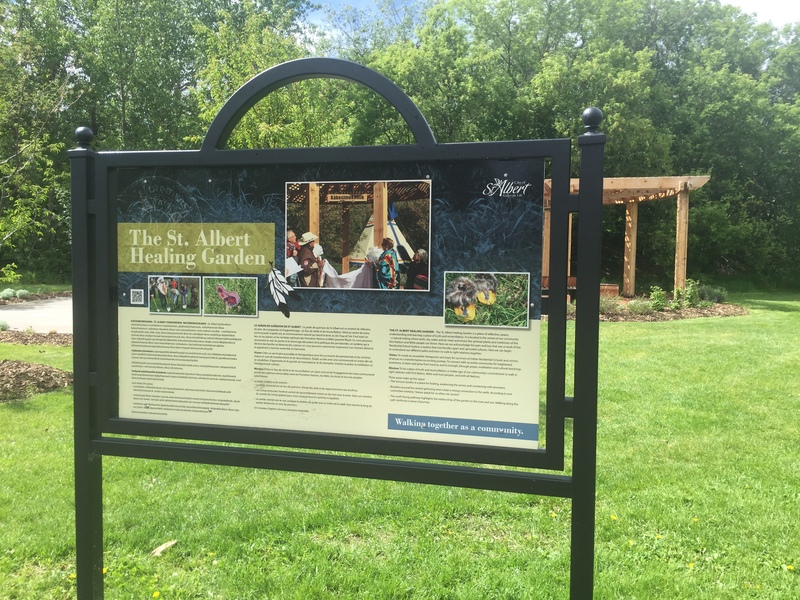 To view photos from the official opening visit the City of St. Albert website here. 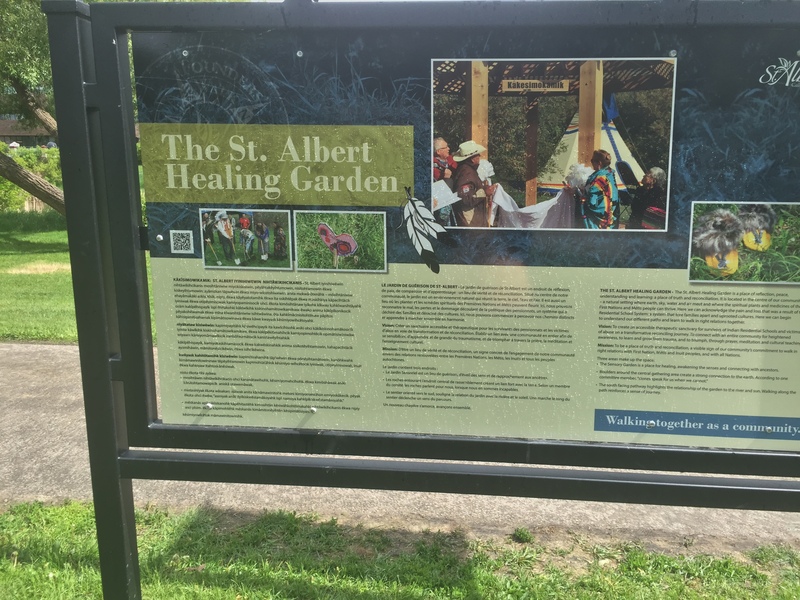 The Healing Garden is a place of reflection, peace, understanding and learning: a place of truth and reconciliation. it is located in the centre of our community, in this natural setting where earth, sky, water and air meet and where the spiritual plants and medicines of the First Nations and Métis people can thrive. Here we can ackowledge the pain and loss that was result of the Residential School System: a system that tore families apart, and uprooted cultures. Here we can begin to understand the different paths that we have been on and learn to walk right relations together. To create an accessible therapeutic sanctuary for survivors of Indian Residential School, and victims of abuse on a transformative reconciling journey. To connect with an entire community for heightened awareness, to learn and grow from trauma to triumph, through prayer, meditation, and cultural teachings. It is to be a place of truth and reconciliation, a visible sign of our community’s commitment to walk right in relations with First Nation, Métis and Inuit peoples, and with all Nations. kapimipayitâhk kêsiwêhcippayik ita kawîcihisohk aniki ohci kâkîkiskinohamâkosicik iyiniw kâwîkihk kiskinohamâtowikamikwa, êkwa kâkîpêkitimahihcik kamiyopimohtêcik opimâtisiwiniwâw. wiyawis kâmiyomâmawîkicik kanîsôhkamâtocik kanistawêyihtahkik kâkîpêhispayik, kamiyokaskitamâsocik êkwa kakwêskinahkik anima sisikotêyihtamowin, kahapacihtâcik ayamihâwin, mâmitonêyicikêwin, êkwa isîhcikêwina. kapimitisahamihk tâp’wêwin êkwa pônêyihtamâtowin, kanôhkwahk kimâmawinitowininaw têpêyihtamowin kapimohtâtâhkik kêsimiyo-wihcêtocik iyiniwak, otipêyimisowak, Inuit êkwa kahkiyaw itahtoskânêsiwak.